For information on branding, deadlines and furniture etc. please refer to the Exhibitor Manual & Catering Order Form. Contact David Fitzsimons who is looking after WAS#9 Sponsorship at was9@anam.com. Exhibition Booths run along the event’s central corridor ensuring maximum footfall for WAS#9 sponsors. 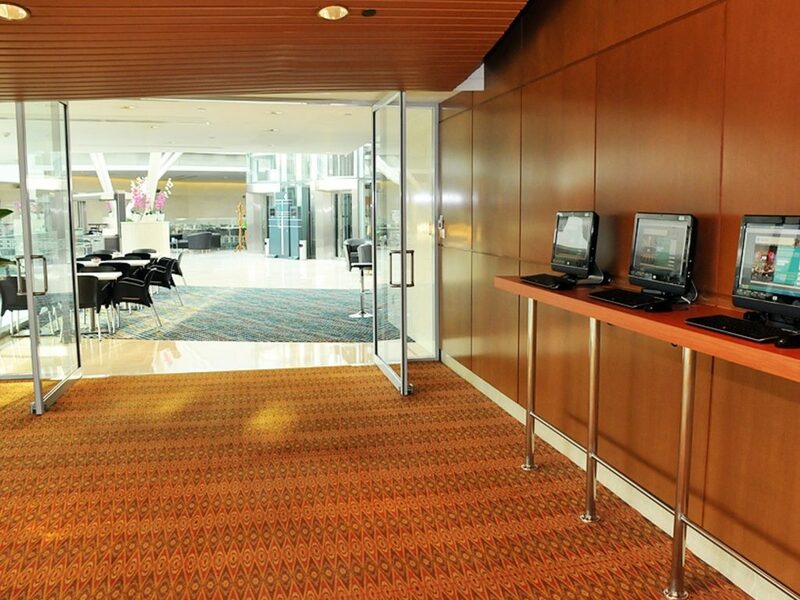 There are two types of booths, a larger one with a meeting facility and the second, an open/walk on facility. Meeting space in the larger booths enjoy natural light and stunning view onto KLCC park & twin towers. The WAS#9 venue offers a wide range of high quality, purpose built private meeting rooms. Located on the 3rd & 4th floors, the meeting rooms vary in size from 15m2 to 173m2 offering something for everyone. The rooms are soundproofed and offer scope for personalisation to suit individual preference. An LCD outside the room will be available for company name/logo.